Among the cultural figures of the Old West, Frederick Remington stands head and shoulders above the rest literally. 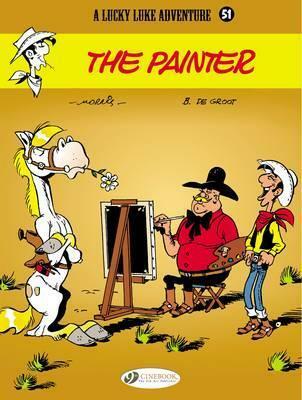 A good-natured ogre by size and appetite, the artist portrays the West with such skill that the American government entrusts his safety to Lucky Luke. Looking after such a national treasure is not usually an easy task, but Luke will soon discover that Remington hardly needs protecting except maybe from his own excessive impulses..."